Darrynane Cottages, four detached Cornish pet friendly selfcatering cottages providing holiday accommodations that sleep from 2 – 6 people in one, two and three bedroomed rentals on Bodmin Moor. 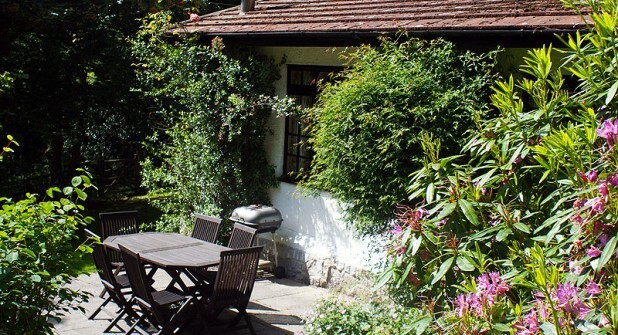 All cottages for hire have completely fenced and gated gardens making them child and dog friendly holiday homes with BBQ and private parking next to your cottage. Darrynane’s idyllic setting boasts an ancient oak-wooded valley where mankind has lived for over two thousand years, a moorland river glade and a tumbling waterfall. They all have fully fitted kitchens with electric cooker, microwave, fridge freezer, toaster, kettle and all utensils. Should you require anything more we are normally on hand to help out. These Cornwall holiday homes have either bath with shower, shower room or wet room. There is a laundry room at Darrynane House with washing machines and a dryer. Each cottage has its own drying line, airer, iron and board . Each cottage offers different accommodations The Lodge (two people) is over 100 years old. Lakeside is a chalet style, built in the 90’s and The Stables and Riverside holiday cottages offer up to date luxury accommodation being built in 2011 and 2012 and have wheelchair friendly access. The Lodge and The Stables have a four poster bed in the double room, the Stables and Riverside cottage have a super king size/ twin bed option. 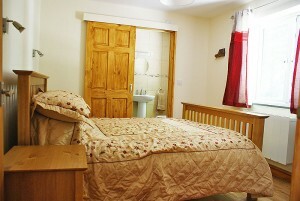 All cottages have electric heating throughout and all have woodburning stoves as well as flat screened TV/DVD players. 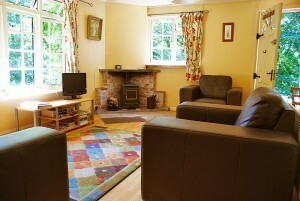 All these dog friendly cottages have wooden floors throughout with rugs in living areas .